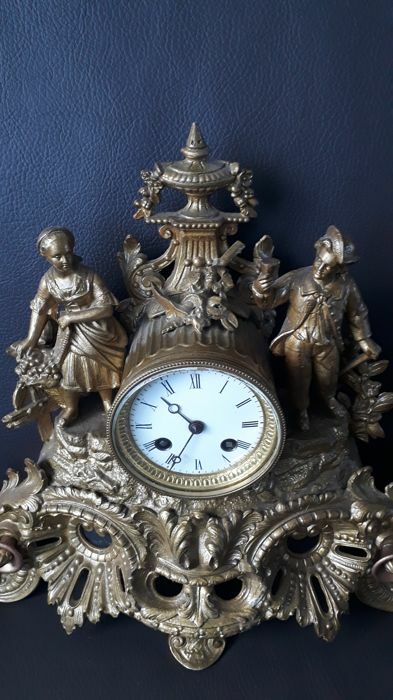 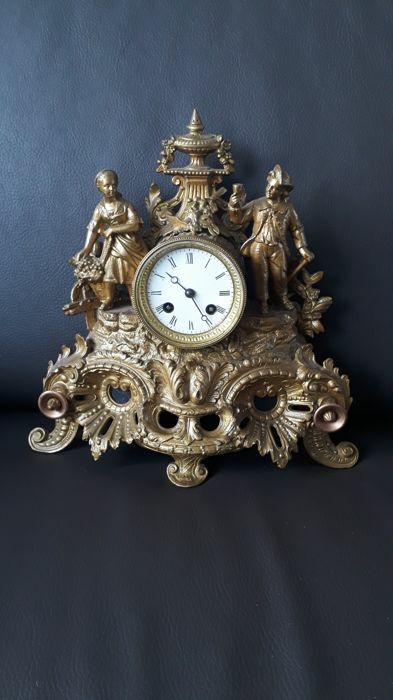 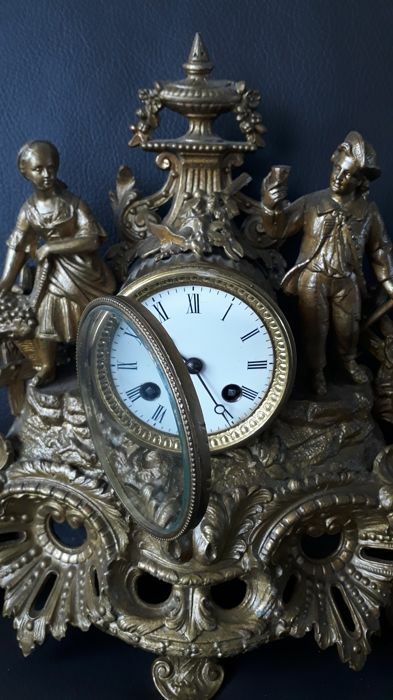 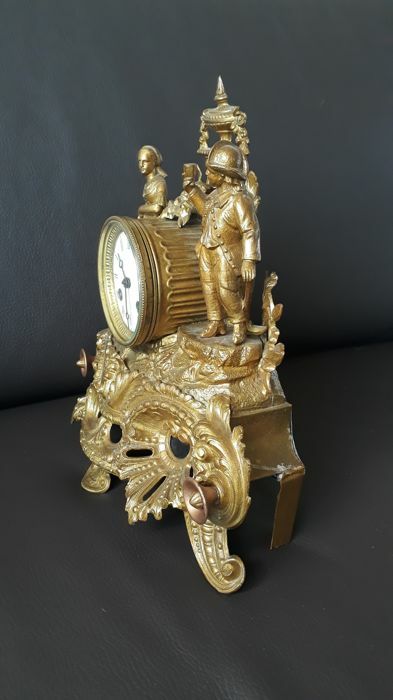 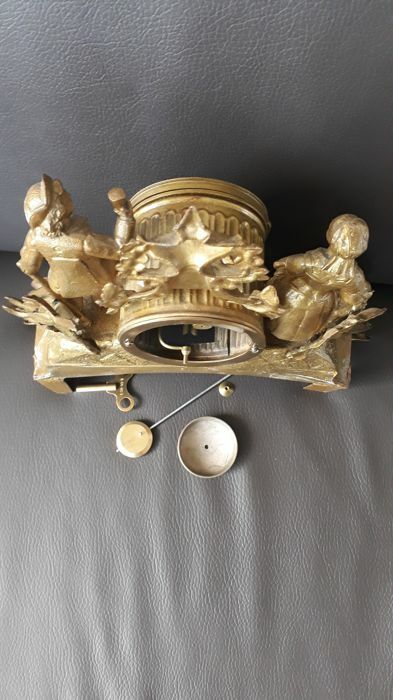 Wonderful pristine gilt clock, figurative grape harvest. 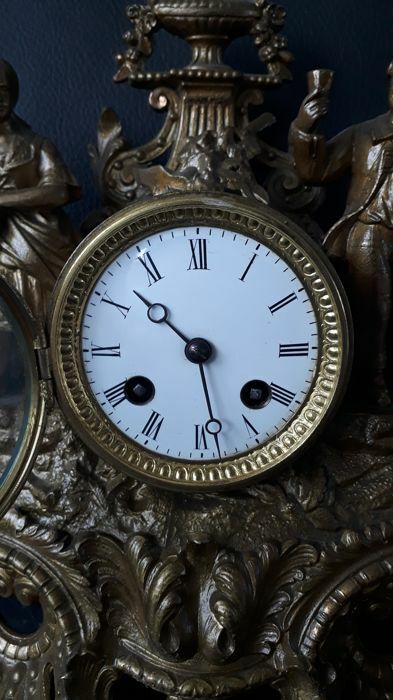 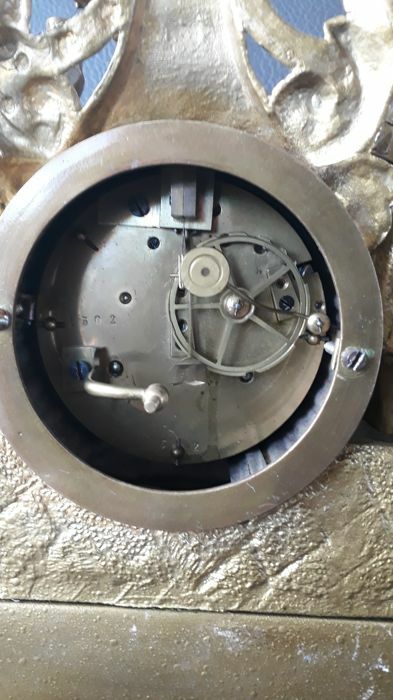 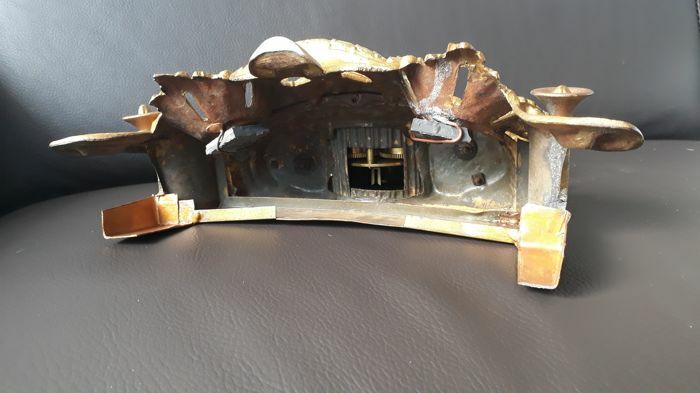 Mechanical movement is clean, oiled and runs and strikes well, the enamel dial is undamaged, the front door with faceted cut pane, steel blued Breguet hands, an eight-day movement that strikes on silver bells, the back feet were restored. 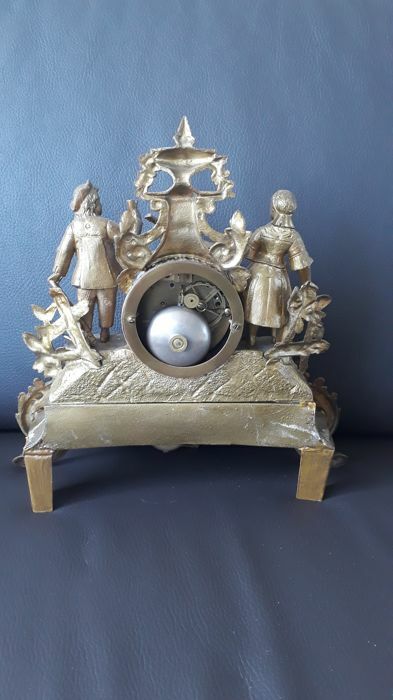 Stylish clock. 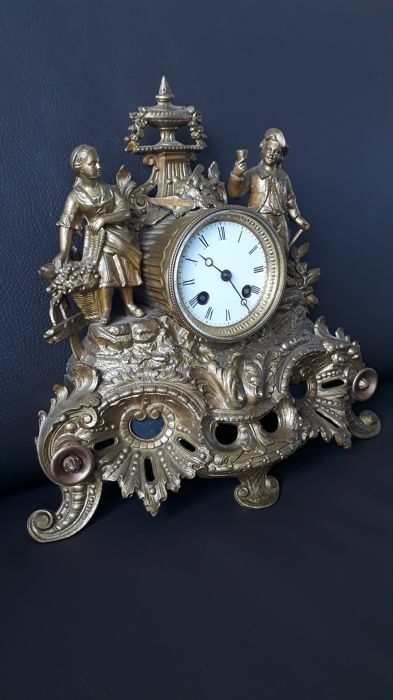 When shipped, the clock will be packaged with care and shipped insured with a track and trace code.